Everyone will be given a very warm welcome this Christmas by the Rotary Club of Enniskillen at their Christmas Concert. 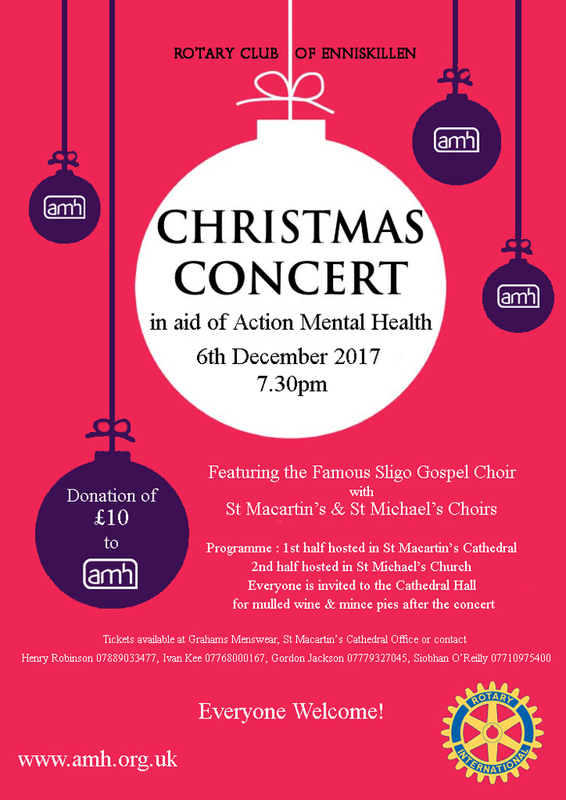 Taking place on 6th December this festive event will feature 3 choirs – the Famous Sligo Gospel Choir and the Choirs of St Macartin’s and St Michael’s – in not 1 but 2 venues! The first half will take place in St Macartin’s Cathedral and the second half in St Michael’s Church! Afterwards the audience will be treated to mulled wine and mince pies in the Cathedral Hall. Donations on the night will be in aid of Action Mental Health so put a note in your diary – we’d love to see you there!